A man has been flown to hospital following an accident between a motorbike and a car in the state’s north. The Westpac Life Saver Rescue Helicopter was tasked to Murwillumbah just after 7 o’clock on Monday night, following reports of a crash. 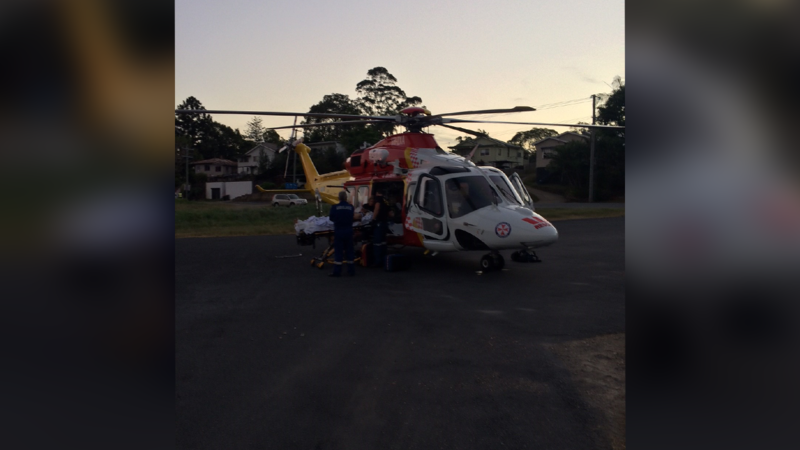 The motorbike rider was treated for head and limb injuries, before he was airlifted to Gold Coast University Hospital. He was reported to be in a stable condition.